In the pre-season of every sport, hope springs eternal. It's human nature. No matter how thin a roster appears or how many talking heads have written a team off as no hope, in the pre-season fans can still cling to the hope that all their question marks will turn into exclamation marks and that all the talking heads will be wrong. It's the preseason, still time to dream of Cinderella, before the reality of the pumpkin comes crashing back down on you. Because of this, the pre-season is generally a great time to be a fan of any team. Well, unless you have been a fan of the Pittsburgh Penguins for the last few years. Hope hasn't sprung eternal the last few pre-seasons, instead each season has been greeted with an overwhelming anxiety. As the weight of sky high expectations hung heavy in the minds of Pens fans everywhere. The crush of sky-high expectations, of the Cup or nothing mentality, has not only killed the hopeful optimism of the pre-season it's basically rendered the regular season as meaningless. How many times have we heard over the last few years that the only thing that matters for this Pens team is the post-season and even then its not just enough to win a series or two, literally anything short of a Stanley Cup victory or at least an appearance in the finals would be considered an utter disappointment. Look, I get it, when you have the greatest hockey player on the planet in the form of Sidney Crosby, surrounded by superstars like Evgeni Malkin and Kris Letang and Marc Andre Fleury - all in the prime of their careers - I understand why expectations would be so high. The crush of these expectations has - unfortunately - made it joyless to be a Pens fan at times. It's strange, just across town the Pirates endured 20 consecutive losing seasons - a North American record for a major sport - and yet even in the middle of all of that losing there seemed to be more joy in being a Pirates fan than there was being a Pens fan these last couple of seasons. Everyone expected the Pens would win another Cup or two by now. Or hell, at least have made a couple of finals appearances. But, alas it hasn't happened. Something has felt different this pre-season. It feels like hope springs eternal again, it feels like some of the joy in being a Pens fan is returning. I think, this is in no small part due to the fact that for the first time since the Pens last won a Cup the world isn't expecting much out of this Pens squad. 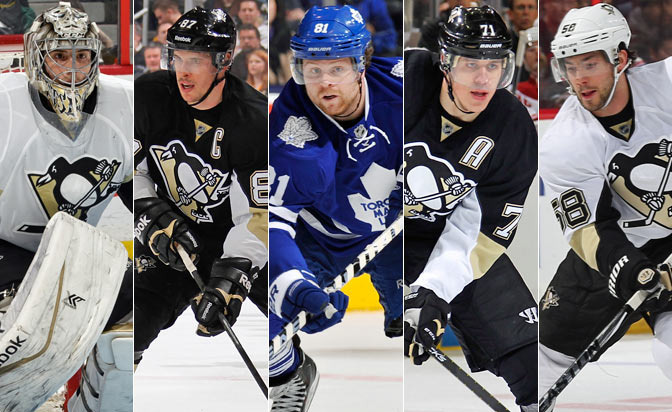 Hell, it seems the trendy thing among talking heads right now is to pick the Pens to miss the playoffs all together. I don't think that is going to happen. The core is still in place and still in its prime. Letang and Maatta are healthy. The top three lines are deep. Oh, and Phil frigging Kessel is a Penguin! No matter what happens this year, I am going to enjoy the ride - and based on the enthusiasm I have seen among other Pens fans these first two pre-season games, I am not alone. I am not waiting for the playoffs to get excited. I am going to savor every damn minute of Pens hockey this season. So thank you to all of the talking heads out there who have finally lifted the yoke of sky-high expectations off of the Pittsburgh Penguins. And who knows, maybe with the weight of expectations finally off their backs, not only will fans enjoy this season, but maybe the Pens will finally deliver a long playoff run.